There is plenty of wine in Westeros. The continent (or perhaps island, frankly I'm not sure) and its inhabitants do plenty of drinking. Particularly Tyrion Lannister, that guy can put it away. The Game of Thrones, unless you've been living under a rock for the last five years, has captivated many of us, myself included, and I don't even own a television. The story of the Seven Kingdoms and the struggle for the Iron Throne is riveting, and ruthless. Leading characters are never sacred. Sunday nights without football are way more interesting, although the finale for Season 5 is nearly upon us. 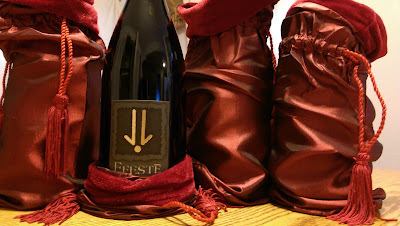 Washington winery, Efeste has taken their Game of Rhones to an epic level as well. The winery has long been a stalwart of fine wine production in Washington since their founding in Woodinville nearly 10 years ago. Like the watchers on the wall they have stood guard over Woodinville's warehouse district protecting the state's reputation for quality wine with a focus on site specificity and broad shouldered, powerful wines. Winemaker Peter Devison can perhaps be likened to the young John Snow. Having come from the wilds of a place called Canada, to take his place at The Wall, continuing the tradition laid down by Brennan Leighton and Chris Upchurch before him. 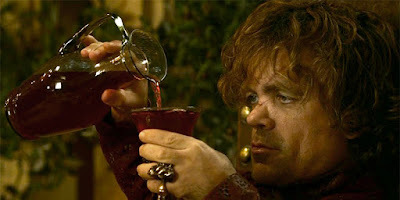 In an effort to celebrate the Game of Thrones and their own commitment to the Game of Rhones Efeste invites you to celebrate the finale with your own Game of Rhones tasting party. They've done all the leg work for you. The kit comes with four great wines, two of them are highly limited and only available to wine club members, royal blood red velvet bags, that allow for a blind tasting and outstanding Game of Rhones wine tags. You can buy the kit here and guarantee that when it comes to the Iron Throne of party hosts, you reign supreme. 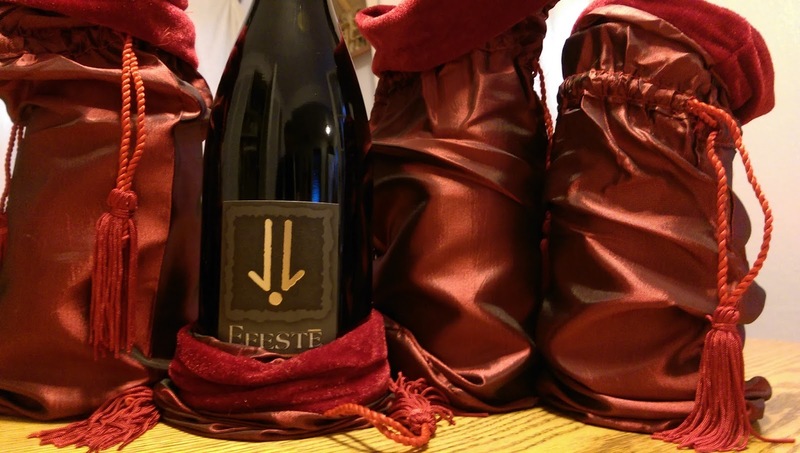 Instead of a struggle between the Seven Kingdoms for the Iron Throne, this is a pitched battle between four Rhone style wines expressing a specific sites and the outstanding potential for Rhone varietals in Washington. While the battle is sure to be long, in the end, we stand to be the winners. The battle for the Seven Kingdoms will go on past this season but the battle for your palate will likely be won over by one of these Rhone beauties. I'm partial to the Jolie Bouche but no matter your leanings the Game of Rhones is one worth playing. Pick up the kit and invite your friends over, and let the games begin.